A parasol used to protect yourself against hot sun as well as rain and wind, indispensable for raft fishing and hera-crucian fishing. Provided with a strut and clamp with improved sturdiness. The clamp can be installed vertically and horizontally as desired. Rotating 360° at an angle of 40°. 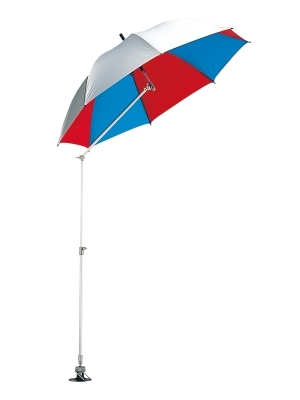 ● Parasol size: 120 cm dia. ● Strut dimensions: Clamp side (base): 19 mm dia. ; parasol side: 15.8 mm dia. ● The setscrews to install the stand are sold separately. 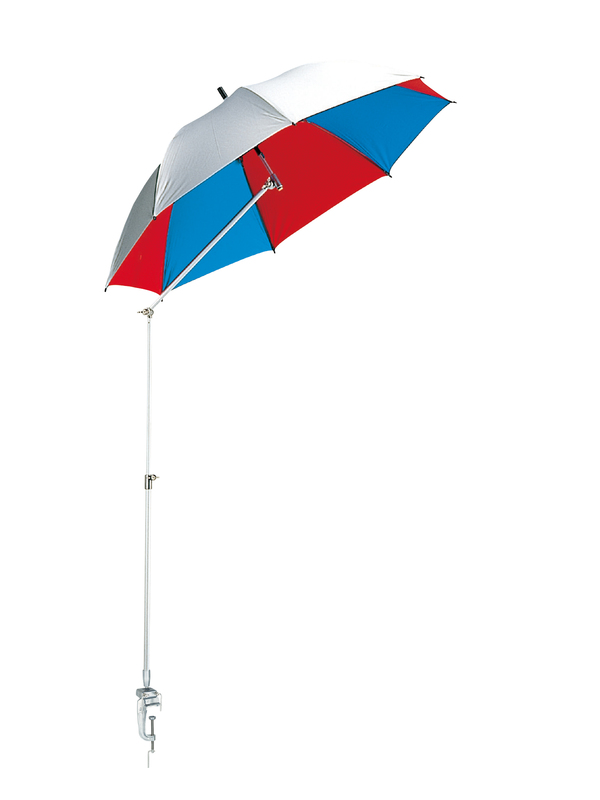 Are the struts, Clamps, and Black Stands of the King Parasol Series compatible?